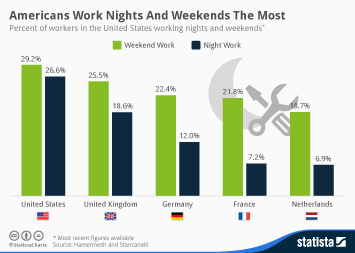 Where Do Millennials Work The Longest Hours? 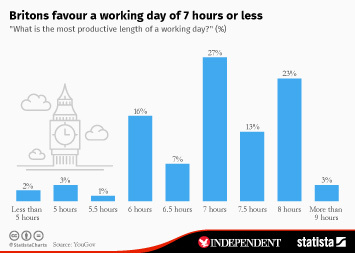 Young adults are often portrayed as being lazy and unproductive but a new report has actually revealed that the opposite is true, with today's millennials putting in long shifts at work. 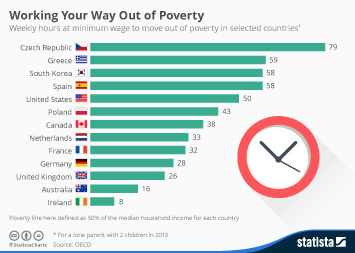 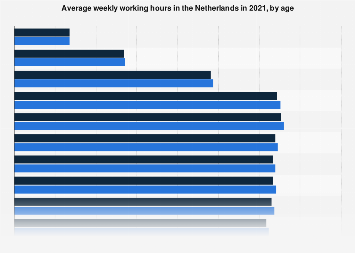 Globally, nearly three quarters of young people aged between 18 and 34 work over 40 hours every week. 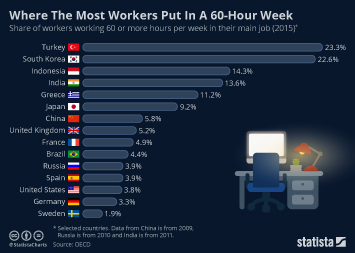 Young workers in India spend the most time in the office with an average weekly shift coming to 52 hours. 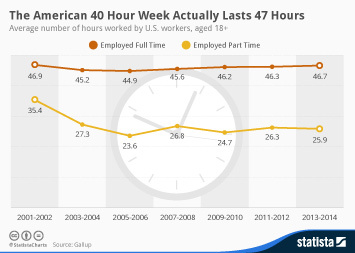 Millennials in the US and UK work an average of 45 and 41 hours per week respectively. 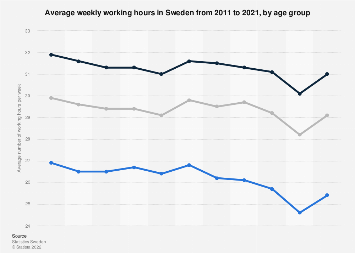 This chart shows the average number of hours worked each week in 2015 (people aged 20-34). 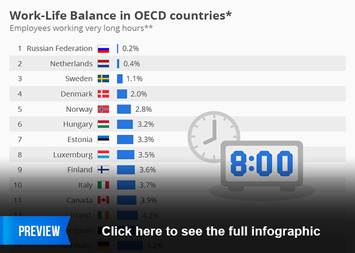 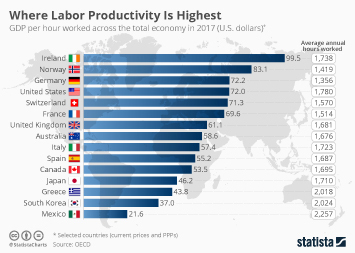 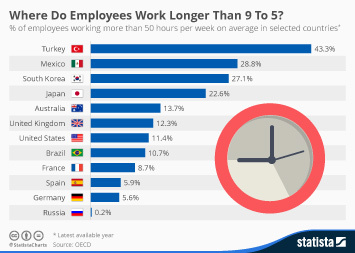 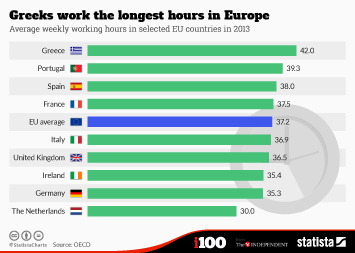 Where Do Employees Work Longer Than 9 To 5?